Bugs, flaws, glitches – not the most pleasant words and a real disaster for software developers. 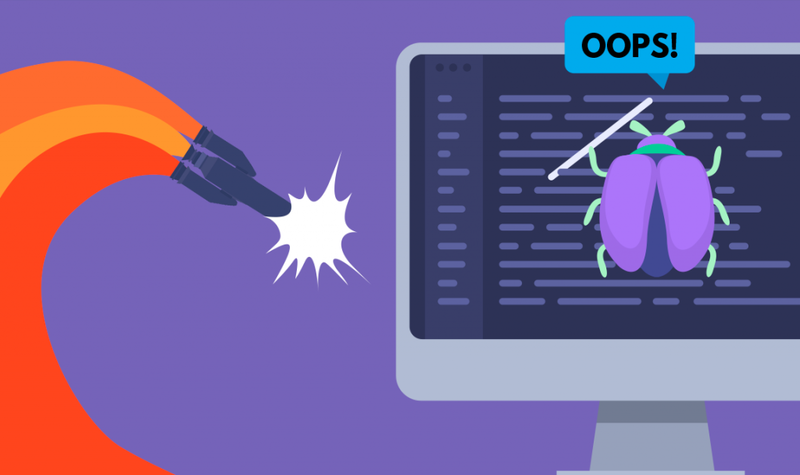 These small (or sometimes big) pests can completely ruin even the most powerful code and make products vanish out of the market. But there’s a department that can sort things out and quickly detect issues as well as resolve them – yes, we’re now talking about software testers, Bug Busters of our age. However, not all companies hire these specialists; in general, they rely their testing process to automation or developers that work with features. As a result, here come app crashes followed by numerous international scandals, hence denying quality assurance doesn’t look like a good option anymore. We collected the most significant fails in companies worldwide to prove you the importance of QA services. It was December 14, 2014. Numerous people were preparing presents for upcoming Christmas and looking for the best (and the cheapest) offers. Surfing the Internet they bumped into an unseen generosity – all Amazon goods had a significant price fall. Either a cell phone or a new vacuum cleaner cost £0.01 only! Trying not to miss such chance users started ordering millions of items. On the other side of a desktop screen, desperate vendors were trying to contact Amazon support and get to know what the hell was going on. The thing is that such a drop was caused by a software glitch and it had to be fixed before companies would face a complete bankruptcy. The crazy sale took place for 1 day only but the result was devastating – some of the small businesses loses were up to £100,000. The main reason for this failure was the third-party software performance. Repricer Express was using dynamic pricing that time to ensure that users are buying the cheapest items among the scope chosen. Something went wrong and all prices reached their minimum. Eventually, Repricer refused to take responsibility for its bugs and didn’t pay for the disruption. Ariane rocket-launching satellite is better known by its predecessor Ariane 4. Taking into account the software of the latter and adding some new features to this new invention, developers were doomed to success. Yet something went wrong after the very launch. The satellite itself exploded seconds after the start – the engines hit a self-destruct mode and it caused crashes in both primary and backup computers. Ariane 5 had never gone into orbit and took $500 million satellite payload with it. Observing such a costly invention to fail is not the best option. But if taking negligence to quality assurance into account, there’s a direct aftermath. As the Horizontal Basis variable (BH) was higher than expected, the system itself collapsed – that hadn’t happened before because of precise calculations. Since the case was more an exception than a coincidence, there was no appropriate rule in the code to prevent such a bug. This malfunction made 75,000 passengers wait for their flights absolutely without any baggage (some bugs were found even in this system). This chaos had lasted for 3 days and led to thousands of events, holidays or meetings canceled. The company is now surviving not the best times after a revelation of data leakage due to Cambridge Analytica. There are still rumors about whether this incident had influenced the elections of 2015-2016. Mark Zuckerberg, the company CEO was brought before the court several times where he was chest-thumping ensuring a total data safety but what we have now? This September some users could notice that they were logged out of Facebook. The reason for it came out several days after – the system had a flaw in a ‘View As’ function that led to an open access to a user’s profile. Estimations have shown approximately 50 million accounts were open to access. Whether it’s a joke of the fate but less than 10% of all users suffering from the breach are Europeans – and it means that GDPR is on its way. The price for such a failure is huge: the social network can pay $1.63bn fine and face a formal investigation of its security negligence. Even though this social media wasn’t in great demand, there were still users that left their personal data there. The thing is that one day Google announced that Google+ is to be shut down, without any reasons or explanations. As it came out later, a security flaw in software development had taken place that led to the data breach of 500,000 accounts. But the most interesting fact is that the bug itself was detected within the activity of a third-party app in a period between 2015 and March 2018, and almost 438 apps could potentially see users data during all this time. “Make America date again” was a moto of a newly-made dating app for Trump supporters. People of all ages and preferences could register their accounts and start looking for a person to meet with. Moreover, all of them already had one thing in common – a deep admiration for President Donald Trump. It had to be one of the most awaited and successful dating app ever, but there appeared one obstacle – a software glitch. The entire database of users unexpectedly leaked out at the day of launch. Will America see the app that connects people with preferences like that? We’ll see. None of this would have ever happened if had been tested wisely. However, software quality assurance is a thing that many companies ignore quite often and it leads to unexpected results that sometimes influence people’s lives. Software testing process may be an easy thing to perform – and being a real pro in this field, QAwerk can now confirm that delivering this task to specialists will prevent your product from crashes and fails.